Naturally flavoured, low in calories, stocked with prebiotic fibre and packing 2 billion CFUs of probiotic bacteria per serve, Gutsy Probiotic Drink Sachets make a refreshing drink that helps improve gut health and whole-body wellbeing, providing a healthy, satisfying alternative to sugary soft drinks and juices. Ben and Claire Gray founded Gutsy after moving from Melbourne to Byron Bay with their two children to refocus on their family. One day, while enjoying homemade kefir together, they began wondering why there weren’t more healthy, sugar-free drinks sold in stores. In their quest to create one, they partnered with nutritionist and natural therapist Katherine Hay, a Byron Bay native with particular expertise in gut health. Having grown up by the ocean, Katherine treasures her connection to the natural world and spends much of her free time exploring it and the many nutritious, delightful foods the Earth has to offer. 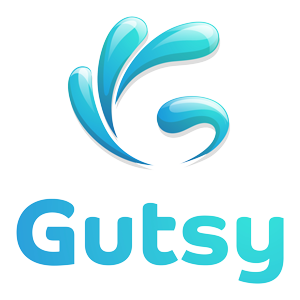 Gutsy is a Byron Bay based Australian family business making naturally flavoured “synbiotic” (probiotic + prebiotic) drink mixes. With no added sugar, the drinks are very low in calories, and the blend of probiotic Lactobacillus plantarum and Bifidobacterium longum with the prebiotic fibres inulin and xylitol makes them effective in promoting good gut health, supporting the immune system, and increasing energy levels. With the environment in mind, they come in sachets rather than bottles to minimise packaging waste, and they mix easily into cool, refreshing drinks. Available in several delicious flavours!